Tour was a "tour" Too many miles and days just riding the tour bus. Tour consisted of over 1500 miles by bus, therefore cutting off travel experiences. Tour should be just one country, not 2. Great customer service overall. Airline reservations could have been better. Too much bus time and too many palaces. Not enough time in Fatima. For the most part their service was very good. However, the representative who came to the first meeting didn't seem to be as knowledgeable as expected. A representative did not return for the second visit, so, the parish secretary needed to relay the information. She did a good job, but she should not have needed to do it. I was under the impression we would be going inside the Familia Sagrada & was disappointed we could not. The tour guides were excellent. Bus driver was very courteous and safe driver. Hotels were excellent. First,the hotels were nice to look at but there was no air and we had to sleep with the windows open. We were. Kept awake by tractors , bells people making noise and with all the windows open NO SLEEP!!!!!!. My husband and I used Collette when we went to Israel and we could not have had a better trip. The guide was wonderful. Our guide in Spain was at best O.K..Father Stan is planning another trip with you for next year. I will not be going with them.. I really enjoyed the cities and some of the factories that we visited especially the LLADRO factory. It would have been nice to visit an olive processing plant and learn about the process. I really enjoyed the trip to the fishing village. Thank you for traveling with Collette to Spain. A member of the Guest Relations Team will be reaching out to discuss your feedback. The tour manager was arrogant. I asked a question and my answer was "I don't know" The next day he volunteered the information I had asked for the previous day. 4 of us on the tour decided to go to Montserrat on our own and he gave misinformation. And it goes on. Again, it all comes down to the tour manager. Thank you for traveling with Collette to Spain. Your feedback will be reviewed by the Tour Management Team in order to enhance the overall quality of our tours. I'm a longtime OAT traveler and was very pleased with your trip leader Carmen Manzanares. She took great care of the 38 of us. Amazing! I'll travel with her anytime. Your organization made this a special trip. My wife and I both enjoyed the culture lessons. The local tour guides were friendly and knowledgable. Excellent service , wonderful tour guides wherever we went. Hotels were good ,bus service excellent. Tour guides were very knowledgeable! Very reasonable, tours were good . Portugal portion was good..... Too much travel in Spain. Yes, would would travel with Collette again. The Spain/Portugal trip involved far too much bus riding with little time to "explore" on our own. The schedule was just too tight with all the travel. We seemed hurried all the time and even bathroom time was limited. As far as meals (except while riding the bus), hotels, p/u, etc. it was very good. As I have said, far too much bus riding. Some days we rode all day and then for lunches stopped at truck stops. The Portugal portion of the trip was very enjoyable. In Spain we saw Sagrada in Barcelona and I think that was optional BUT the best part of the trip. The trip should have included olive processing, winery and grape production and something on cork production BUT to do that the time on the bus has to be limited. What about the high speed train for travel. The tour guide was "good" but he really did not seem to be "involved" our interested. On this particular trip there was far too much "bus riding". We traveled well over 1,500 miles by bus and a couple of times almost all day. Then, while riding all day we stopped at "truck stops" for lunches. Between a couple of cities high speed trains were available.... for a few hundred dollars more the train could have saved travel time alowing for more sight seeing. The highlight of the trip was seeing Sagrada in Barcelona and the small towns in Portugal. The trip should have included a winery, grape production, olive processing and cork harvesting. Wesley, our tour director, was excellent. Very knowledgeable about the history and culture of locations, and very attentive to the needs of participants. In the time we had, we saw and learned a great deal. 1. I was disappointed with the service when they booked the airline seating for my trip to Portugal and Spain. I had requested, nearly a year in advance when I first booked my trip, that due to health reasons, I MUST have aisle seats for the international flights of the trip. Needless to say, that was not the case. When I requested a change, I was told, "too bad, this is what you get and if you want the seats changed, pay more money and upgrade on your own directly with the airline!! REALLY????? I had to pay $135.00 plus taxes extra for a trip that was over $5000.00. 2. Whilst in Valencia, Spain, according to the detailed itinerary given to us, we were supposed to go to the City Center and Lladro factory. Guess what? Not true!! When questioned by a few of us in the group about this situation, we were told that the City Center was just a drive-by which we had done upon our arrival in Valencia while Lladro was a tour on its own. It is a shame that when you pay the amount of money that Collette Tours charges, there is not more personal and accommodating service provided by Collette's employees. I loved that local guides were used to enhance our experience in different locations. Thank you for traveling with Collette to Spain and Portugal. A member of the Guest Relations Team will be reaching out to discuss your feedback. Portugal and Spain - Super experience! The trip was well planned and very interesting! The accommodations were very nice. The coach and drivers were also very nice. The places of historical/cultural interest were amazing! Jo and the local tour guides were very knowledgeable. I really enjoyed Toledo and Valencia. My husband's favorite was viewing the tomb of Christopher Columbus. I liked learning about the history and cultures of the people. The food was amazing - especially the Paella Experience in Valencia and the Fada dinner show in Lisbon! Again, the tour was so well planned and our guide, Jo and her local guides were very knowledgeable and accommodating. La Sacrada Familia was outstanding. 1. El Tour muy interesante pero el programa muy recargado y el itinerario de cada día muy apretado para asimilar la valiosa información. 2. Los viajes en autocar demasiado aburridos, lo que cambiaria si se viaja por tren que sería más placentero. 3. La mayoría de los viajeros en el tour - personas mayores - no teníamos suficiente tiempo para descansar y recuperar energías para el día siguiente. 4. La estadía en Madrid muy corta después de un viaje tan largo y cambio de horario y desde el primer día se inicia el tour sin tiempo para relajarse. También en Barcelona. 5. Visitar 2 ciudades en 1 día además del tiempo de viaje es agotador. Igualmente empacar casi a diario y tener que entregar las valijas al amanecer. 6. Las explicaciones de las guías en cada sitio muy complicadas y largas. Podrían concretarse a lo más importante sin tantos datos imposibles de grabar en mente. 7. El itinerario es mas para gente más joven. Muy pesado para mayores. 8. La guía personal del tour agradable pero en lo personal la sentí poco amable siendo yo la única viajera que no era de USA. 9. Las propinas sugeridas son excesivas y así lo comentaron otros pasajeros. 10. La calidad de los hoteles y alimentos muy buena. Es un tour muy costoso aunque buena calidad en los servicios. Los Tours de noche opcionales en Madrid y Barcelona muy caros. Euros 100 por una comida (cena) y el transporte es demasiado. Me gustaría comprar otro tour que sea más cómodo y adecuado para personas mayores. La Tour manager muy bien preparada con la información proporcionada a los viajeros. Gracias por su atención. Gracias por viajar con Collette a España. Un miembro del equipo de relaciones con los huéspedes se comunicará con usted para comentar sus comentarios. WOW they planned everything down to the last detail. Made all the connections for us worry free. they arranged every thing and made it convient for us. Respected our vegetarianism so well. Yes again they planned for us so very well. The side tours were very well thought out. Optional tours were a bit expensive but the local guides were well chosen. Jo was the amazing leader and all was well organized...I really appreciated her efforts to take care of my vegan meals. No complaints at all. Same as Spain , it was swell. Tour manager Jose Fagundes was excellent - very knowledgeable, entertaining, funny, extremely helpful. All the meals were great. 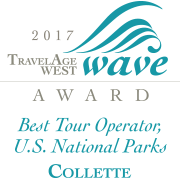 I would not hesitate to recommend a tour with Collette. This was my third Collette, and the fourth for my wife. My favorites were the Mezquita in Córdoba and the cathedral in Sevilla. Guides very good; food not so good. Tour guides were very good. Some hotels were good, others not so good (Barcelona). Breakfasts at all hotels were good. Prepaid diner at the wharf in Barcelona was not good (certainly not worth $99 per person). Paella lunch in Seville was nothing special (we all got soaked in the rain; also, they need to install a walkway as we had to walk in ankle deep rain water). Tour guides were very good. Some hotel were good, others not so good (Barcelona). Breakfasts were good ad all hotels. Other meals nothing special. Paella lunch in Seville was nothing special (also we all got soaked from the rain and had to walk in ankle deep water; the proprietors need to install a walkway). The prepaid diner at the wharf in Barcelona was terrible and certainly not worth $99 per person. Bus and driver were very good. The tour was fabulous and our guide was superb and very knowledgeable. He made the trip educational and fun. The cities we went to were extraordinary but my favorite was Córdoba and the ancient mosque with the basilica in the center. Unbelievable architecture and Arab influence. The Alhambra was also magnificent! It's hard to pick what was our favorite city on this tour! Collette is always wonderful to work with! I would actually rate this tour 4.5 but don't have that opportunity. The tour overall was great and our guide Ricardo was one of the best! Our group of 6 had such a fun time. However, we did not anticipate spending 9 hours on a bus from Lisbon to Madrid. 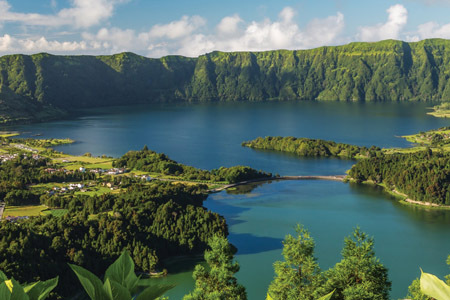 Granted we stopped every 2-3 hours, but Collette should consider making this a train ride, OR stop somewhere between Lisbon and Portugal for the night. It was a wasted day. I would still recommend the tour, just with a warning about the time on the bus to each city. Hotels were wonderful and all but one was city center. Guides were very knowledgeable. From the beginning of the reservation process, which included having to cancel a Peru trip and get a voucher for this trip, everything was handled professionally, quickly and acurately. A very enjoyable vacation with everything well organized. I would use them again and recommend them to all my friends and family. The tour hit all of the major cities and the excursions were very interesting. The tour guides were very knowledgable and informative. I enjoyed the places we visited and the friends we met. The food was great. The tour manager was inexperienced, unhelpful, hard to understand and at times rude - as when he left 10 people behind when we couldn't all get across a busy street with stop light. It made us wonder when that might happen again. I liked the historic sites we visited and especially liked seeing the Calatrava artichitecture in Valencia. I wish there had been time to do the 3 hour tour of his and other unique buildings there. I especially liked seeing La Segrada Familia - although we didn't get to go inside of it. Overall the food was wonderful. Thank you for traveling with Collette to Spain & Portugal. A member of the Guest Relations Team will follow up with you. Most of the hotels were really nice. The places we visited were interesting. I was disappointed because I thought this was a "small group" experience. 40 people is not a small group. There were a number of instances where I think Collette could have made things fun smother for our guide. I saw a number of places that wre on my list to see. The main mosque in the Alhambra was not included. Big disappointment, nor was the cathedral in Barcelona, just the outside. Horrible tour. Collette does't care. We were left at Madrid airport after our plane was late getting in. Called the US to tell them this problem and after 15 minutes of arguing with them to get us transportation to our hotel, they finally decided to do so. It was a good thing we had a phone to use or I don't know what would have happened. We are now in a foreign country with no Euros (our tour guide was to have some for us). The tour guide was too busy with her own personal problems to care for her tour group. Newly married and a graduate paper due in days. The tour itself was not as presented fully in the write up. We did not go into the Alahambra and everything else we did was too rush rush with very little time to explore further on your own. At New hotel areas she was never at before, she didn't, know where or what restaurants were in the area. This should have been researched before by her or by Collette. The tour should have been 2 or 3 days longer and Segrada Familia which we booked on our own before the trip, should have been included. I will never go with Collette again. I believe they cheapened the tour, the food and the hotels. The first thing we did when we got home was to cancel our Btritish tour with them and had to hassle to do that. Customer service was not great. When asked how we liked our trip by people in our community, we told them not to use Collette due to our terrible experience and will continue to do so. We were stranded at the Madrid airport as our plane was late in arriving. No one from Collette was there to meet us. We called the US to get help, argued for 15 minutes with them until they agreed to get us transportation to the hotel. The tour guide was not very helpful and was preoccupied the whole time with personal matters like a graduate paper due that week. The tour did not fulfill what was written in their descriptions. You did not go into the palace at the Alahambra, you just toured the gardens. Everything was rushed. The quality of food and hotels was not 4star quality. I would not use Collette again. Customer service was not good also. Thank you for contacting us again in regards to your Spain's Classics tour. Your comments will be used to enhance future tours. Places were amazing, but tour needs to be expanded. We had higher expectations of. ollette based on previous experience. Our tour manager was nice but lacking. The sites, the local guides -all good. We would have liked more time to explore even if that meant additional day(s), additional cost. More free time to see what we missed. Explained complaint previously. Sites were great, tour manager lacking. We are very glad we added to beginning of trip on our own so we were able to explore the Lisbon area more. Also glad we took most of the optional tours especially Monserrat. Our expensive added tour of Madrid at night was not worth it however. There was just the drive from the restaurant back to the hotel - not as advertised, but this could have been the manager’s fault. Thank you for traveling on our Spain's Classics & Portugal tour. A member of the Guest Relations Team will be reaching out to discuss your feedback. Worst tour I have ever been on. You left - basically abandoned - two elderly women in a foreign airport upon arrival when you promised to meet us and transport us to the hotel. The tour manager never fostered interaction with the tourists. The welcome dinner was just dinner, no welcome, who are you, where are you from? When asked questions, the tour manager would respond with "You should know that." The tours were rushed and were very cheap basic tours. We did not have access to the interiors of the two most visited places in Spain, the Alhambra and La Sagrada Familia. The food was adequate but definitely on the lower end of the scale. At most dinners several people returned their food to be recooked or changed to another selection. We were given dinner at one restaurant before its normal hours and locals gathered around us waiting for us to get up from the tables. The tour manager left before all the tourists were on a shuttle for the airport. The tourists had to fend for themselves if there was a problem with the shuttle as there was with the first shuttle. The tour was very poorly paced. There was never time to enjoy an area or shop. There was no entrance to the interiors of the two most visited sites in Spain. My favorite experience was the tour I booked independently where I visited the inside of the Sagrada Familia. Nice trip,but we seemed to be always pressed for, time. Need more free time .Trip needs to have days added.Trip was very nice but the pace was at times hectic. Tour guide could have been more informative about places we pass Ned on the bus. Trip needs to have at least two days added for mor free time. Trip pace was hectic at times. Tour guide could have provided mor information along route . Some time extended time in Falima and Alhambra would be better. Your tour leader/guide, Jose, did a great job with information and basic coordination of tour. The venues were exactly what we wanted. The only issue was the Alhambra (Collette could not get tickets for us at first and this was extremely disturbing, but in the end, tickets were procured. Then the only issue was time at the Alhambra was too short). More time at Fatima would also improve your tour experience. Cities visited was a great representation of Spanish and Portugese architecture. After we made it to Portugal the trip was superb. Having Jose as our tour guide was the best thing you did. Choice of hotels and restaurants were excellent. and the itinerary is what sold us. One thing that could have been better was the size of the group. Luckily, ours was fairly congenial, but others may not be as fortunate. American Airline flight over was cancelled and felt we were left on our own to solve the dilemma. Knowing alternatives would have been advantageous. Service on this tour was good. Tour manager and local guides were excellent and coach driver was very good and got us round the tour safely. Tour manager ensured the tour ran smoothly and when issues arose they were dealt with quickly and effectively. Tour was good overall but some of the hotels did not live up to expectations despite some of the hotels having 5-star designation. Also Collette put us in a Marriott Courtyard in Madrid; surely there were better alternatives? The tour would benefit from being a couple of days longer, with extra days in Madrid and Barcelona. Also it would have been nice to have had a least one day (two would have been good) without an early morning departure. The itinerary contains a couple of items that did not turn out as expected. Many in the group expected the visit to Sagrada Familia to include the interior (which it didn't). Also the itinerary for Valencia included the wording 'explore the impressive City of Arts & Science...' This didn't happen - the 'exploration' was driving by it in the coach - disappointing. The Alhambra visit was not as expected. We were emailed prior to the visit to inform us that Collette were unable to obtain tickets to the Alhambra for our day in Granada so we organised our own Alhambra tour. Arriving on tour the group was informed that Collette had managed to obtain tickets for the group for the Alhambra on the day following that originally scheduled. However the tickets obtained by Collette did not include entrance to the Nasrid Palaces, by far the most impressive part of the Alhambra complex. We were fortunate in having seen the Nasrid Palaces on our separately organised tour the previous day, but the group missed seeing the most impressive part of the Alhambra. I had not anticipated such a large group when I booked the tour. 42 was too many. I think the ideal maximum number would be 30. The group was too big. 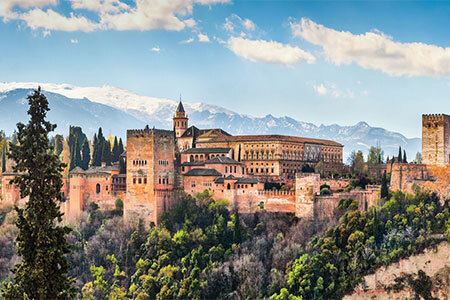 Most memorable experience was the Nazarid Palace in the Alhambra (not included in the general tour). Four out of five hotels were superb. The food was first rate--everywhere. Our itinerary was excellent. 99% of the tour group got along great. All those things are plusses; but the one factor which was above and beyond fantastic was our tour guide, Ernesto. He combined his professionalism and knowledge with compassion--which you don't find often. Yay, Ernesto. GREAT BUS, convenient hotel location, would like to have more free time in Granada and Córdoba. The tour guide was nice and helpful but I would prefer he did not talk badly about the people in Spain, he said that most people on the tourist areas were pickpockets. And I disagree, a lot of the people in the tour preferred to stay near the hotel because they were afraid of sightseeing. That is sad. Good tour, excellent hotel location. Our tour guide was excellent. She made sure that she didn’t play favorites. My grandson, Jay, was really surprised at how well a tour ran. He also liked that she called him Joseph, his given name! It was interesting seeing Spain through the eyes of my 18 year old grandson. We enjoyed seeing the mosques in Spain. Enjoyed seeing my grandson eat a 2nd helping of paella in Valencia. Thank you for traveling with Collette to Spain & Portugal. A member of the Guest Relations team will be reaching out to you to discuss your feedback. great tour, great tour guide. Definitely would use again. Only suggestion would be to have an extra day in Barcelona, to see more of the city on the tour. Jim Clark was fabulous, and very knowledgeable. Our guide, Sergio, was excellent. He went above and beyond for my daughter and me. Our driver Pablo Guerrero made moving that huge bus about look easy. My daughter and I were very comfortable with his driving. Were I to recommend a Colette tour to a friend, I would suggest they find one with a slower pace, both in terms of the changes in hotels and the speed of the walking tours. Other than that, it delivered what it promised. Again, the speed of the tour was a bit of a problem. The daily tour guides were knowledgable and personable, but I would have preferred a little more free time within the walking tours to shop and take photos. my only complain was not being able to get into some the attractions that were advertised. I am aware that you have a disclaimer about substitutions if tickets are not available but since some of the tickets are so difficult to get, it toys with false advertisement to offer the attraction. La Alhambra is one major example. Out tour manager was superb...the coach driver was excellent...they took very good care of us. Meals were great. Too much walking for rating of comfortable. Never been on tour were we only saw outside of buildings and not the insides. This trip on a very tight schedule with not much time at attractions. Mosque cathedral was my favorite. We had a problem with the flight to Spain due to weather and again on the second day but we were not told why the flight was delayed. We left as scheduled and had to switch to another airline and missed the 2 days of the Lisbon tour. We loved the two countries and we had a great tour director and driver. Phone conversations with customer service were excellent. Collette app was excellent. Transfers were timely. Some of the hotel locations were not convenient (although the hotels were very gong) to shopping or eating and we were not accommodated to be able to go back to the restaurant areas. We could not find satisfactory eating . Optional dinner at waterfront was horrible...crowded, noisy, food terrible and thrown at us. Thank you for your feedback. A member of the Guest Relations Team will be reaching out to discuss your comments. Not only did we get everything we needed for the trip, but it all worked smoothly. Collette takes care of everything and does an excellent job. Absolutely..we always use Collette.. If a problem occurs, they take care of fixing it-tours are always excellent and the tour guides are very well informed, fun, and competent-they go above and beyond what is required. With Collette, you are never alone-they have your back. The worst travel agency that I have used. Mostly panoramic tours, we were not able to get inside the Alhambra, The arts and science place in Valencia or Montjuïc, even though those were included in the tour. The tour manager was extremely rude. Screamed at me in Nazare, in front of taxi driver after we tried to explain to him we got lost in Fatima. They changed our hotel in Granada because they didn’t have enough rooms, where we were supposed to stay..
Bad customer service. I called their guest relation dept 1 week ago and they have not called me back. Mediocre tours, not worth what we paid $9800. It was awesome! Our guide was so knowledgeable about every place we went. The our driver was great! The tour was wonderful, however, the terrain was a little difficult and the manager was not knowledgeable about wheelchair accessibility in certain places. I would recommend Collette and would consider using them again. However, I would like to have a better understanding of what a "typical" Collette tour guide is like. I have traveled with other tour companies and my experience was different. The sites visited were what I had expected and I really enjoyed them!!! The accommodations were all wonderful and I would happily visit stay in any of them again. When we had longer travel periods and stopped for lunch along the way, the food was very poor. It would have been nice to stop elsewhere. The food in the cities visited was excellent. With other tour companies, the tour manager shared a lot of information about the country, economy, lifestyle and history etc., especially on days with longer bus rides between cities. On this tour, we primarily just rode for hours with little communication. Part of the reason I chose a tour company is for that added opportunity to learn about the places I am visiting. Travel arrangements were very good. The accommodations were also very good. The choices of cities were terrific. The paella lunch was great. The tour of the Sagrada Familia was unforgettable. Montserrat was also great. The local guides historical accounts of the sites and churches were very interesting as well. Thank you for taking the time to provide us with this feedback. A member of our Guest Relations team will be reaching out to you to discuss your concerns. Tour of Fatima and Valencia great restaurants and pretty good hotels in each city. Meals non-exceptional. Hotels AC or fresh air systems inoperable. Some optional excursions should have been refunded. Prices a bit high. Agenda good. The service to and from the airport was excellent The hotels except for Barcelona were far from the city center. The dinners were rushed and not worth it . (even those that were included). In Madrid it wad a restaurant woth a French name The location in Barcelona that was extra the food was excellent too rushed not able to enjoy. As a solo traveler they gave Me the worst room until I started to complain. The Hotel Colon actually provided breakfast to go. This was a first after travelling for many years My biggest disappointment is not going into the Alhambra which was one of my reason for selecting this tour. This should have been explain in your book. I might have selected another tour This will be too expensive to go back for the Alhambra. I loved the tour. Our tour manager Carmen was exceptional. Food great. 2nd tour and thought each was great. La Familia Sagrada was why I took tour. Every cathedral took my breath away. Loved total experience. The travel courier was overly and welll informed. The tours an sights were also very well done. We enjoyed it very much. The tour was comprehensive and that is what we signed up for. The only issue was that in order to see everything it required a great deal of time on the bus. The bus was comfortable and had wi if which was wonderful but we would have enjoyed more free time. And yes, I realize that with the amount of traveling that we did bus travel was essential. Maybe expend the tours by a couple of days. For a tour of Spain, Collette is the way to go! Tour Manager Ernesto was terrific and took care of us and explained features to us the entire trip. All the local guides were wonderful except for the last one in Barcelona. The hotels were in good locations and clean. They had everything prepared for us when we arrived. Until this tour, never knew a tour of Spain could be so wonderful. Collette made that a reality. Inside the Gaudi Church. Had seen the outside before, but the inside is amazing. Plus Al Hambra palace. Ground transportation not clear, when arrived in Madrid couldn't find drive for transport to hotel for over 1 hour! No one from Colette holding a sign with our name on it. Finally found a representative from Colette who was not for us to call corporate. She contacted another Colette rep at the airport and finally brought us to a group who was also waiting for transportation and then to a van for transport to hotel. Terrible experience, especially in a foreign country. Poor ground transportation on arrival and departure. Hello, thank you for sharing this feedback with us about the tour. We have passed this along to members of our team for review. We appreciate you and value your insight as it helps us to improve our tours for future guests. A member of our guest relations team will be reaching out to you to learn more about your experience. Ground transportation not clear, when arrived in Madrid couldn't find drive for transport to hotel for over 1 hour! No one from Colette holding a sign with our name on it. Finally found a representative from Colette who was not for us to call corporate. She contacted another Colette rep at the airport and finally brought us to a group who was also waiting for transportation and then to a van for transport to hotel. Terrible experience. There is always room for improvement. Organization of ground transportation very poor, especially in a foreign country. Hello Thomas, a member of our guest relations team will be reaching out to discuss your experience. The tour director and bus driver were very good. They handled the change in the tour well. Tried to help people with transportation changes. We would consider Collette again. Enjoyed Valencia and Seville. Enjoyed learning the history and having free time in the cities. Collette decided to cancel our trip to Barcelona and while we don't agree with the decision we respect that the company made a decision based on safety. Our big issue with it was that we found out Friday morning, the day we were to go on to Barcelona. Nothing had changed in Spain from the Wednesday. Had we known earlier we would have made our own travel plans to go on to Barcelona. Going back to Madrid, basically 'killing' a day in travel was frustrating and disappointing. So much time, over 45 %, was spent on the bus, not a very comfortable bus. Very little time to actually see sites we stopped at. In most instances about an hour, which was nowhere near enough time to see anything Stops at highway service stations for lunch were miserable. At two dinners which were included on the tour we didn't even have time to finish dessert and coffee as the tour guide announced we had to leave. Hello Catherine, thank you for sharing this feedback with us about the tour. We have passed this along to members of our team for review. We appreciate you and value your insight as it helps us to improve our tours for future guests. We look forward to traveling with you again soon. I have toured with Collette 4 times and have been very satisfied with the service before and on tour. I was disappointed that we were unable to go to Barcelona, but I appreciate Collette's concern with our safety. The service from Collette staff was fine, especially from our tour guide who was well organized, very helpful, extended special needs services, and was always on top of everything relative to the tour. I would recommend Collette and look forward to using Collette on a future trip. The dinners provided at restaurants by Collette were better than from a competitor I've used before. 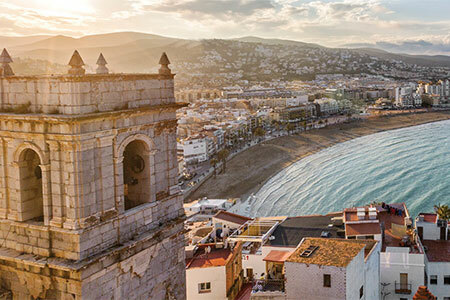 This tour offered the opportunity to see 5 of Spain's primary cities, to see the country from the northern territory to the southern city of Seville, to the eastern sea cities of Valencia and Barcelona. While there were many attractions to see and tour on the trip, the favorite experiences were the cathedrals, esp. La Sagrada Familla. We had a great bus driver and Jose our guide was outstanding. Everything we saw was amazing. Hotels, guides, sights, were great! Tour guides were very knowledgeable and friendly. It was a very organized trip, had a lot of fun! The tours were organized, all tour guides were very knowledgeable and the sites were awesome! I recommend this company and this tour. Awesome Trip, Amazing Tour Manager, Great Properties and the good and wine were above expectation. Can’t wait until we decide on our next tour with Collette, every detail was though out and executed to perfection, also what a fantastic tour guide Angela definitely one of the best we have ever had! Great Job Collette! All of the hotels were top of the line and in locations that were easily accessible to main attractions for free time, the meals and wine were out of this world! The tour guides on Collette tours are very friendly, helpful and professional. They have history and info to share with us but never dominate the bus time by constant chatter. And they have all been well above average on friendliness and being very helpful with suggestions in places where no touring is scheduled. The level of difficulty ( a 3) was harder for the majority of the bus and exhaustion set in for many. My favorite places were mostly in Portugal and the Fado evening was the best. Tour too rushed hardly any free time. Some hotels not as good as expected. Too many cathedral tours taking an hour and a half in one case. This was more of a religious tour. Too little free time. Rushed. Way too many cathedral tours. Starting with our Tour Guide ~ Carmen ~ she was the best. Very organized. We enjoyed all of our destinations, great food, great overall experience. Just an outstanding tour all the way around!!!! Did everything well, from travel accommodations, to first class hotels, to tour destinations, and excellent tour guides. The outstanding meals everywhere we ate!!! Spain is a beautiful country with very friendly people. ******, our guide, was outstanding. I would recommend this trip to everyone. Excellent tour. Great guide and wanderful tour mates. Saw a lot of the country and enjoyed it. he service while in transit or on location was good. The length of time an the bus,due to the size of the country was what I disliked. Also, some of the days were really LONG. The cities, service etc were wonderful, it was the time on the bus that I disliked. The tour is well planned and guided as we expected from Collette. The tour offers good balance of group excursions with knowledgeable guides and free time for us to explore the cities on our own. The tour manager is excellent in handing unexpected incidents. I had some unexpected medical emergency and the tour guide quickly contacted local hospital, asked for English speaking doctors and arranged transportation to send us to emergency room. He followed up with us and called hospital again to ask for priority for treatment. Another tourist had a serious injury the first day and the tour guide and Collette arranged for her to fly back to US next morning for treatment. We signed up the tour for fun, but believe me when unexpected happens in a country with language you cannot speak, you have to count on tour manager and Collete to provide assistance. They delivered all the assistance I need and I appreciate their willingness to help any way they can! The tour is excellent except the time needed to drive from city to city; the longest took 8 hours. All Collette personnel did a great job. Yes I would recommend Collette. Tours were great but too much time spent in a bus. Also the food options were mostly iffy although Paella meal was great. The tour was well planned. The tour guide was very knowledgeable and also very kind and helpful. His compassion for elderly was outstanding. The cities were far apart and there were 2 and a half day of just riding. Bus rides too long, not enough free time, not deversified sites, too many churches, no art museums, no time to really explore or shop. Missed learning more about today's culture and seeing some modern life. The evening tour dinners food was abundant, but not quality, wine was poor. The Paella lunch was the best food. The best wine was at Barcelona seafood Restaurant, but only one glass. Lisboa Hotel was too far to walk to sites, would have liked to stay in one of the coastal towns. Too rushed. Need more picture taking stops. The lunch stops on the bus were terrible, would have rather had a fresh boxed lunch. The hotel breakfasts were excellent. Guided tours were very informative, one of the city guides was perky with a sense of humor, really liked her. ******* the bus driver was excellent, courteous and friendly. Liked the printed information on the sights of the day. The logistics were handled well. ******* was excellent being there seeing the procession and mass outside celebrating the 100th year. Toledo was beautiful. The scenery driving to Montserrat, would have liked to ride the funicular. Paella experience. Alhambra. Boat ride in Madrid. Architecture of Gaude. Walking in Barri Gottic on our own Valencia the Science Park and architecture. Need more authentic shopping experience, not tourist tacky merchandise. Hello Linda! Thank you for sharing your feedback with us. We value your insight as it helps us to improve our tours for future guests. The trip was fantastic. Love the Collette Compass App. Used it on the trip to find our way around during free time. We saw so many amazing sites. Loved the Paella Experience in Valencia. I recommend staying an additional day in Barcelona to see more of the Gaudi sites-- that's what we did and really enjoyed the extra day. Collette arranged for us to stay in the same hotel. Yes, I would travel with them again. The scheduling was good. We saw a lot. I thought some of the meals could have been shorter, in other words, I just don't need 7 course meal. The bus could have been kept cleaner. Windows were greasy! They are so helpful with everything on the phone to help us get the trip we wanted!! This is our 3rd time to use Collette and once again they proved it was worth our well to use them!!! The tour was normal with no serious problems. The transfer when we arrived in Lisbon was very poor. No one was at the airport to greet us and we had to get our own cab to the hotel. I think we should be reimbursed the transfer fee.We were out a long distance call to Collette, cab fare and and other expenses. We are getting older and will be traveling but we will look for a company that will help us and not forget about us. We enjoyed the tour and hotels. Favorite parts of the tour were in Madrid. The tour manager and bus driver were very good. The logistics were excellent. We were on time. Could not have covered Southern Spain on our own for the same cost. The hotels were excellent. Some of the restaurants were great. Others - not so much but as they were the first time used, not held against Collette. The most memorable experience was going to Alhambra. That was why we signed up for the tour. Everything was on time. Accommodations were adequate. Tour was very organized. Bus was comfortable and immaculate. Driver was excellent. Montserrat was wonderful. Too much packing and unpacking. Would have preferred more in depth tours in Madrid and Barcelona. From the tour we got a very good feel about Spain. We now have visited many of the cities that define Spain. For me the highlight of the tour was Valencia; the Arts and Science buildings. They were amazing, futuristic and forward thinking. This was my 5th trip with Collette and once again I was not disappointed. From the booking process and through out the trip I was impressed. I included air fare, transfer to hotel and chose every optional tour. All experiences were great. The tour was exceptional. We were very busy every day and packed wonderful experiences everyday. Our tour guide *Personel details removed by Feefo* was exceptional. Anxiously looking forward to another booked tour with Collette this fall. Thanks Collette. Every detail taken care of giving us a carefree experience. The hotels, restaurants, and tours were exceptional. We could not planned and found these on our own without pre trip stress!!! Love touring with Collette!! Our trip leader was awesome, very knowledgeable and efficient in every way, and his personality was so perfectly suited to the job. The accommodations in each city were really great in terms of both location and quality. Overall the itinerary was also wonderful, but I felt only one evening and overnight in Granada was not sufficient. I just think a minimum of 2 nights in any one locale is preferable. The included tours (and the optional ones) appropriately showed us the best each location had to offer. Some other tour companies are now including all gratuities in their price (local guides, bus drivers, tour manager). I would like to see Collette follow suit in this. As already stated, the itinerary was really great. I had never heard of Gaudi before this tour and found his creations in Barcelona (Guell Park and the Sagrada Familia) so amazingly awesome. And the extra side trip to Monserrat was breathtakingly beautiful. Experiencing paella at the source was delicious as well. Worthwhile but not for the slow. We had an excellent guide who went above and beyond expectations. The trip was not for the slow...up early, to bed late, but we saw an incredible amount of quality sites. I actually prefer our free days because my husband and I are active travelers and we can cover a lot of ground pretty quickly. On the other hand, we would probably not have seen so much on our own because we didn't know the region well and we appreciated our excellent tour guide and local guides. The only complaint I would have, in your paperwork, it said I could pay for excursions with a check, but our guide only wanted charges to a card. Also, a group of 44 is a little large. We also expected to go inside Alhambra, but tickets were not available. A big disappointment. Area was very clean. Cities were beautiful. Local guides were excellent. It was nice having "the Whispers". The accommodations were excellent. Our tour guide (personal details removed by Feefo) went out of his way to make the experience enjoyable. 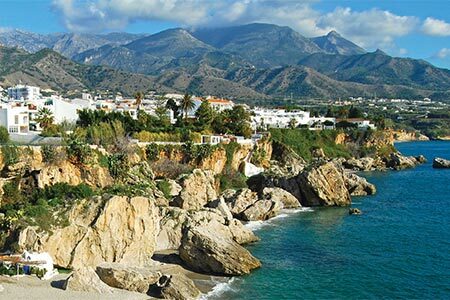 The places we toured along with the individual guides gave us an in depth and varied view of Spain. I will definitely use Collette in the future. Excellent tours and guides and our director was great! Valencia paella and boat ride! BEst paella! yum! A good tour. Saw some great highlights of Spain. It would have been better if there wasn't so much time on the bus. Local office outstanding, otherwise very US-centric. The people in the Sydney office were fantastic, the arrival of the information package I thought was rather late and the US emphasis in all the written advice was annoying. Outstanding tour guide and bus driver. Local guides and activities were excellent, almost all of the expected highlights and so much more. Missing the Alhambra was a huge disappointment but not Collette's fault in any way. The boat tour and huge paella in Valencia were fantastic after all the cathedrals! Every detail was well covered, quite professionally and very, very friendly. Each member of the staff was courteous and approachable. Inexperienced tour director even though he had been a local guide previously. Also, had 2 Collette tours covering much of the same sites, one started several days earlier and from Madrid (our starting point) on, always 2 Collette groups at the same sites. Maybe one should have been ahead of the other so never both in the same places within 30 minutes of each other. Excellent hotel in Barcelona (Hotel Colon). Everything was beautifully organizef and hotels well chosen. Tour Manager was excellent! La Alhambra in Granada, also dinner in Madrid and Seville sights and dinner. Madrid Prado we did on our own-a must. Old cities of Toledo, Cordoba and Valencia. I was very pleased with the tour guide that traveled with us Ernesto and with the guides that met us at tour locations. They were all very well informed, personable and had personal tidbits to share that made the tours very interesting. Spain Classics hit all the right notes all of the stops were great but Valencia and Barcelona were my favorites. Remarkable tour guide. Great itinerary. Wonderful experience. Our tour guide was remarkable. Dealt easily with several serious health issues w/o missing a step with the rest of the tour. Adapted our itinerary quickly to accommodate closure of one of the highlight locations we all wanted to see. More than made up for that closure. Ernesto was the best! Great tour guide! Responded quickly to multiple health disruptions and sight closings w/o any inattention to the tour. Excellent. The 2 stars are both for *personal info removed by Feefo* our tour guide. He was beyond terrific. Unfortunately, I spent the tour in a hospital or my hotel room ill with a virus that gave me a 102 degree fever. We're so sorry to hear that you fell ill while on tour. We will be sure to tell our tour manager team about how great the tour guide was. If you felt he was great, please change your star rating to a 4 or 5 star. We appreciate your business and hope to travel with you again very soon. Most of us were Seniors. The days were very long with almost too much scheduled to do. I've already reviewed this trip and mailed it to you. Good trip - very enjoyable. Had been to most of central and northern Europe, and found the terrain, architecture, food, etc. very different in Spain and Portugal. GREAT- One of the best we have taken !!!!!!!!! A bit underwhelming in terms of accommodations and included meals. I had higher expectations as to the quality of the accommodations and the quality of the included meals. We took a Globus Portugal tour immediately following the Collette Spain tour, and it was far superior in both areas, which was a real surprise to us, as Collette is rating a 5 star company vs. the 4 star rating for Globus. As previously stated, a bit disappointed in the quality of the accommodations and the included meals. Also, it would be reasonable to expect to know the available additional excursions more than 7 days prior to departure. I enjoyed all the sites,tours and the guides. A great adventure! The itinerary is great--time to shop and wander on your own near the hotels. The guides are very knowledgeable and friendly and fun. The drivers are very good and friendly. We appreciate the value we get for the money and the places we see. We had a great time! Not to worry! You now have the chance to change your review to a 5-star rating. We're looking forward to traveling with you again soon. The service was great and our tour manager did an exceptional job however the itinerary itself was simply too crowded. I love history but I don't need to know every date and every detail of every historic site we visited. More time to simply wander and appreciate without the "whisper" in my ear would have been so much more enjoyable. My previous review is sufficient. Fatima rates very high on my favourite memories; also would be Obidos. On both these stops we spent most of the tours on our own. Alhambra ranks right up there. Our tour of th Lladro factory and the Paella experience are two of my favourites as well. As a tour coordinator with Collette I thought I would be notified about updates and when travel papers and payment was due I was not. Too many to mention loved the cities visited and all the attractions in all the cities we spent time in. Good Experience, particularly enjoyed the local guides (Cordoba stand out). Overall experience was good, we were a little frustrated with the mix of our particular group, which included several people with mobility issues. This made it difficult to do some of the tours in a timely manner. I realize that this is "the luck of the draw", and applaud the people with issues, who made a valiant effort to not inconvenience anyone! As stated above, good overall tour. The Flamenco evening was memorable, as was the tour of the Cathedral/Mosque in Cordoba, was great. Beware, only those in excellent physical shape should take this trip. The 3 pace, while maybe correct, was very demanding because of all the stairs and cobble streets and sidewalks, This is what made it so strenuous compared to other 3 pace tours we have taken. Although my wife and I could handle it, many on our tour could not and I do not believe this was clearly indicated before the trip. A warning should have to be acknowledged before booking this trip because when others could not keep up, it delayed everyone else; making for long days with late arrivals at the hotel. As a result, we often could not change clothes or shower before dinner or was rushed in doing so. Two of the people could be legally classified as handicapped, two others frequently used canes, and one had bad knees and moved very slowly. Made for a waiting for them throughout the day, even though they often used cabs when possible. One person fell and broke a knee cap, one fell and broke a foot, while we saw two others fall without any apparent injuries. As far as the content of the tour itself, we felt there was not enough opportunities to be involved in the cultural aspects or Portugal and Spain such as the paella experience. The aboriginal experience and barbecue in Australia and dinner with locals in NZ are examples from our other Collette tour which we enjoyed. 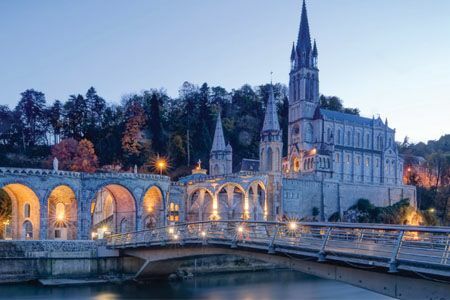 Many beautiful churches and old walled cities, but we became numb to their splendor and history after a while and wanting some more variety on local way of life. Also, we have found you miss out too much on these tours if you do not take the optional excursions, but on this trip when we did it there was not enough time for independent exploration on own which has been at times our most rewarding part of our journeys. We have now taken 7 similar guided tours and content wise, this was the worst. Conversely, the Outback to the Glaciers was the best with others by cruise companies and Globus rated in between. We do not regret taking this trip because we did see a lot, albeit hurriedly; but will forewarn others of what to expect. See above for more specific tour comments. Most enjoyable times for us were walking around Seville and Valencia, beautiful cities. Also, a tour of the Seville bullfighting museum was a highlight and not a part of the tour. Not including the heritage of Spain in the tour would be like skipping the Civil War battlefields in the USA. We understand that bullfighting is not politically correct and controversial but part of their culture in the past and still occurs in many places. Very nice tour, Guide & driver were top-notch excellent!!! The pace was a little busy (needed one or two days off). Maybe use high speed train for longer disrNCES. The tour was very nice and the guests were very congenial. I most enjoyed the Sagarada Familia in Barcelona. Because of the failure to check well in advance that the tickets for Alhambra Palace & Gardens in Granada for an afternoon visit were definitely reserved. First class tour manager and coach driver took us to a good variety of must see sights. Favourite was the interior of the non-scheduled Segrada Familia in Barcelona. Otherwise the Mesquito in Cordova. You should include this! Don't use Collette; they promise and don't deliver. I am tired of paying for Collette trips and when you get to Europe they all of the sudden cut out one of the most amazing tours out of the trip with flabby excuses. I surely am spreading the news that your company is not one they should use. This should have been rated 5 because of all the walking, up and down hills. Thank you for letting us know Janet. I have notified our team and wanted to confirm that you have been taken off the mailing list. All of it. It was a wonderful tour and are guide was excellent and caring. They did not deliver as promised in the itinerary. Missed seeing Alhambra because company did not purchase tickets for us and we missed a light tour in Barcelona. Fabulous trip! Great hotels, great guide. The trip was everything the brochure promised. Since this was the first time in Spain and Portugal I didn't know what to expect. The countries were amazing while different from some of the other European cities I've visited. I really enjoyed getting to see the countryside and the excursions taken outside the large cities. One complaint was not being able to go to Al Hambra. I was really looking forward to it. But Collette and the guide did an excellent job on making up for the mistake. As well, I was really disappointed in the extra excursion I paid for - the night tour of Barcelona. While the dinner was good, what I really paid for was the tour of Barcelona at night. But we never got the tour. The bus driver drove us around pretty much where we had already been that day, and it seemed like all we did was drive around and around the tunnels. I was pretty disappointed and in the future will not pay for any extra excursions ahead of time but will make the decision while on the trip. The tour manager was great, as was the primary bus driver, but Collette dropped the ball on a number of important issues (reservations not completed, promised activities not realized, overpriced optional excursions, and VERY inferior hotels. Optional excursions were overpriced. Made relatively few personal purchases while on tour other than nominal gifts to bring to people back home. Thank you for bringing this to our attention. It looks like you have spoken to a member of our guest relations team already, but we wanted to let you know that we have also passed along your feedback to our Tour Manager and Product Development team for review. We are thankful for your business and look forward to seeing you on another tour. Unforgettable experience, Spain is wonderful! I would have rated Excellent if not for the hotel accommodations that we had, very tight for 3 people. We expected bigger, adjoining rooms like what we had with our London Paris Tour in November 2014, we paid about $4000/person after all. But our Tour Manager was great during the trip, our bus was comfortable and the itinerary was well coordinated. I would love to go back to Sevilla and spend the whole day at Plaza de Espana. Overall very good- quite energetic at times. I would have preferred a slightly smaller group Not all the restaurants were of the standard I expected. Some outdoor venues would have been welcome A bit more flexibility should have been shown with the temperatures above the norm for the time of the year.eg a refreshment break in Toledo. The service provided by the tour director and driver was excellent. The tour group was too large. Well planned and thought out. Outstanding leader. Very professional and friendly. Spain Classics trip was a real adventure in all respects. We enjoyed every aspect of the trip except for the flights you lined up for us. We have travelled with Collette before and we know it is a quality program. We do not like going to the airport with no assigned seat. For a seven hour trip to Spain we wanted to sit together. Fortunately we happened to get the last two seats at the very back of the plane together. For the return trip we flew from Barcelona to Heathrow , not together. Then we had a 4 and a half hour lay over which required us to frantically ride busses, go through security twice, run around like cattle, barely making our flight to Boston, still not together. We were not at all happy with this aspect of the trip! Collette is an excellent tour company. This was an overall fantastic experience. The included sites were wonderful, and there was time to explore independently. Hotel locations were excellent. This is a great tour for those who enjoy art, history, culture, and having a good time! It is a busy tour because travelers are exposed to so many places and experiences. Spain is a big country, and we were able to see so much of it on this tour. Our tour manager facilitated and orchestrated the trip very well. She really provided a top quality experience that we could not replicate on our own. Collette takes the worry out of logistics so that you can really enjoy your trip. Wonderful tour. One of the best. Itenery was great. 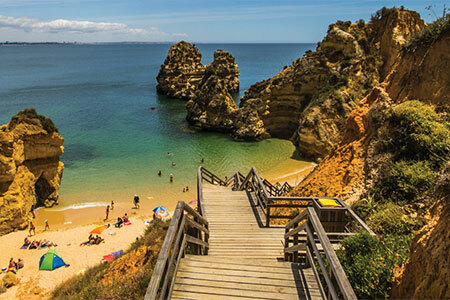 Excellent selection of sites to visit in both Spain and Portugal. Accommodations were wonderful. Would recommend tour to others. Information provided throughout booking and leading up to departure was great. Didn't really have any questions. Great experience, loved Barcelona, and all tours during trip. Had wonderful weather, which was a pleasant surprise. Good trip. Tour manager was organized and knowledgeable. Included meals good. Service ok. Dinners were mostly excellent. Hotels were mostly fine. Felt their was too much time on a bus and not enough diversity in what we were taken to when off the bus. Had the most wonderful experience on this tour. Restored my faith in Collette. *Personal Details removed by Feefo* was a wonderful tour manager. Saw everything I wanted to see and was greatly impressed with the guides that were hired by Collette. Cannot choose any specific tour. All were wonderful. We were suppose to be picked up in Lisbon. The pick up guy was 30 minutes after we were able to claim luggage. We had problems with our seating coming over and we wanted to make sure that we didn't have the same problems going home. We told the pickup man that we needed his help in finding the place in the airport and he said that he didn't have time. We had the same problem going home and there wasn't anything that could be done about it because we had waited so long. We also told our tour director about the problem and we also sent an email to Collette in the US several days later and we never heard back from them and we still had about 10 days left on our trip so we feel that they could have done something about it since they were the ones who booked our flight. We paid for 1st class seating and don't feel that we received 1st class treatment. We were seated on opposite sides of the plane. Notice should be given in the travel documents that the hotels in Spain do not provide wash cloths so you would know to pack your own. The Montserrat optional excursion was outstanding. Well organized and good pace for tours and sites, competent and knowledgeable tour manager, mostly good hotels in good locations Toledo and Cordoba city tours were the highlight for us since we had previously visited Barcelona Air travel from Toronto via Philadelphia to Lisbon works well because we cleared US customs before boarding in Toronto and our luggage was sent through and we didn't have to re-enter security before boarding the international flight to Lisbon. Very different story returning to Toronto from Barcelona via Philadelphia as we had to clear US customs, reclaim our luggage and re-enter departures and clear security again...very crowded, nearly missed our flight to Toronto, our luggage didn't make it and had to be delivered to our home a day later. Collette should have arranged direct flights from/to Toronto which were available. Corinthia hotel in Lisbon was outstanding, hotel meals were excellent quality and moderate prices. Melia Galgos hotel in Madrid leaves a lot to be desired. Because of the short time in Madrid, a better hotel outside the city centre would not be a problem because there was no advantage to being near the city centre. nice to have pickup and delivery transportation. the only problem was we arrived early in the morning after 9 hours on planes and had to sit for 5 hours to get into our rooms. either get a later flight or reserve some rooms for those who arrive early. alsoneed more shopping time. An excellent tour of Spain. Collette was very helpful in setting up our tour, and being sure that we received all of the discounts that we had available to us (which is helpful when you are retired). I have recommended the Spain tour to two of my co-workers at the hospital where I volunteer and they will be booking the same tour for next year. This is our second tour with Collette and will not be the last. I think that the tour covered the highlights of Spain very well. However, we would have liked to spend a little more "free time" in Cordoba, Seville, and Toledo. The two extra days that we spent in Barcelona were well worth the additional time. It should be noted that the tour of Cordoba is a relatively strenuous "walk" for some of the older people that we had on our tour....that should be rated as a "4" and not a 3. The tour of the Lladro factory should perhaps be an "extra: and not necessarily included in the tour. Be aware of limitations that Collette will provide if they book air travel. The tour was an excellent one and our Guide was great. The reason for not getting an excellent rating over all relates to the travel experience from the US to Spain and return. Collette booked all travel which included First Class air fare. When we tried to get seating through the Airline they told us Collette would have to handle that. My wife and I were never seated together on the Trans Atlantic flights. Upon arriving in Spain our tour guide said that he would have to e-mail Collette. I personally e-mailed Collette on May 21, and have not heard back from them as of today, June 16th, Flight services is a joke and has left a bad taste in our mouth for what has until now been great Collette trips (4). My wife arranged this tour using a local travel agent. The agent helped us with advice and making a few choices among available options. Everything, from the initial booking to the return to our house, was provided as described in the brochure and as we expected. Since our agent was the middleman between us and Collette, we had no direct contact with them other than on the tour. Although we love the service we get from the agent, we did not discuss possible options with Collette, which might have been helpful on other tours. This is a fairly intensive tour, with lots of places visited and a couple of long bus rides. Several people had trouble with the substantial amount of walking, some of it uphill over broken pavement. The tour manager helped them use taxis to avoid the worst parts and yet not miss anything of the tour. Madrid is a large modern city, not much different from any other large modern city but with lots of monuments and some world-class art museums. We knew we had most of the day we arrived in Madrid to ourselves, so we used the time to visit the Prado, and that was great (get tickets in advance online!). Toledo, Cordoba, and Granada have impressive remnants from the Moorish occupation and the Catholic reconquest, but Collette is right to not schedule a lot of time there. Seville and Valencia were enjoyable to visit, but the various cathedrals do start to look alike. The final stop was Barcelona, which I think was everyone's favorite. The architecture of even the most pedestrian buildings, the extensive park areas, the Gaudi buildings, and the cheerfulness and helpfulness of the people really made it stand out. Nowhere in Spain did we encounter hostility or indifference, but we had quite a bit of free time in Barcelona and our interactions with the locals were always memorable. The highly-publicized Las Ramblas was wall-to-wall tourists, and the side streets were largely empty. The markets were fun to walk through. One mistake we made was to use tapas as a substitute for a normal meal, thinking that this would let us try a wide variety of dishes. Tapas, though, is the equivalent of pub food, and it does not provide the same experience as sitting down for a standard three-course restaurant meal. Eating food that is different from what we eat at home is an important part of the travel experience for us. Our final meal on our own in Barcelona in an ordinary restaurant was excellent and came to about $100 for the two of us. We did not go on any of the optional trips. Our experience has been that dinner-and-nightime-tour options are not as enjoyable as walking around the city and making our own dinner arrangements, and they are expensive. We feel that all of the included meals are prepared and served for quick service to a horde of people, people who might not enjoy truly "native" cuisine. The local guides were a mixed bag; they sometimes added to our enjoyment, but often they just recited a long list of names and dates that went in one ear and out the other. We had brought euros, but we did most of our spending using our US chip-and-signature/no foreign fee credit card, and never had a problem. The hotels were very nice with one one-night exception (which we all told Collette about! ), and the included meals were OK with the exception of one dinner where the food was very simply prepared and poorly served (a lot of us told Collette about that, too). As we expected, we had excellent weather throughout the trip, important when you spend a lot of time outside. Most places were crowded with tourists, although May is considered pre-season; Barcelona was particularly overrun because several cruise ships were in port. Bottom line: this was a very enjoyable trip, and Collette is a reliable provider of packaged tours. Received everything in a timely manner. It would be nice if better air flights can be offered for the European trips. We flew from Austin to Charlotte, North Carolina, to Philadelphia where we had a 7 hour layover prior to departure to Lisbon. We were thoroughly exhausted when we arrived in Portugal. More of a variety is needed on this tour. Entirely too many churches included as part of the tour. We did not have to second guess anything because everything was taken care of for us. Well organised and fun trip. Very well organised. Company representative very good and helpful. Tour to be recommended if you want to visit and learn about some of Spain's cities. Favourite place was Valencia. The walking tours of Toledo (day 6) and the Alhambra (day 9) are considered to be more strenuous in nature due to the uneven walkways, number of steps and some uphill walks that are required in order to see the historic sights. On the rare occasion that the Alhambra Palace in Granada is not available, You will instead visit another top attraction such as entrance to Seville’s Royal Alcazar or Barcelona’s La Sagrada Familia or similar. **On select departure dates, the visit to the Lladro City Complex (a “Choice on Tour”) will take place the previous day. Please note that this facility is closed on national holidays.